In the wake of the terrible tragedy that occurred at the Pittsburgh synagogue in late October and resulted in the death of 11 people, federal and state prosecutors are preparing to move forward with capital murder charges against the suspect connected with the incident, Robert Bowers. Bowers was charged in a 44-count indictment that includes charges of hate crimes, murder, and obstructing the practice of religion. 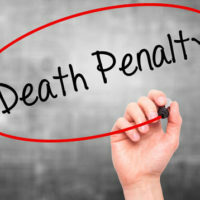 Today, the death penalty is rare, and typically carried out at the local or state level. However, rabbis, specifically, are opposed to it—even in this case—as we discuss below. While capital punishment exists in Jewish law (and, specifically, in the Torah), it has rarely been used, and is strongly discouraged. The Torah itself distinguishes between intentional homicide and the evidentiary standards required to affirm it–whereby capital punishment is theoretically/historically appropriate–and non-intentional homicide, where it is not. Historically, the tribunal that historically heard capital cases could not impose a death sentence unless and until it heard from two eyewitnesses and both eyewitnesses first needed to see each other, warn the assailant of the consequences of their actions, and hear the perpetrator’s verbal assent. The only person that the state of Israel has ever executed judicially is Otto Adolf Eichmann, a high-ranking member of Nazi leadership who was responsible for a number of Jewish extermination camps and deaths. If you have been accused of a violent crime and face significant penalties as a result, contact our experienced criminal defense attorney Phillip J. Murphy for the very best in criminal defense services throughout New York and New Jersey.